Let me introduce you to this book and I'll tell you what I like and what I do not like about this book. I LOVE the cover. People say, never judge a book by its cover. Its actually true. 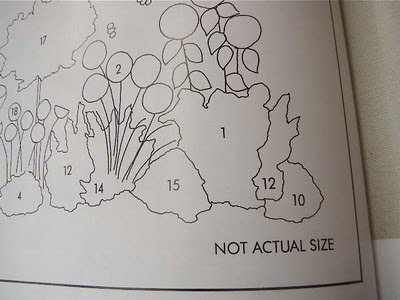 I've made some error in judging certain books previously. But not this one. The moment I saw the cover,I fell for it. 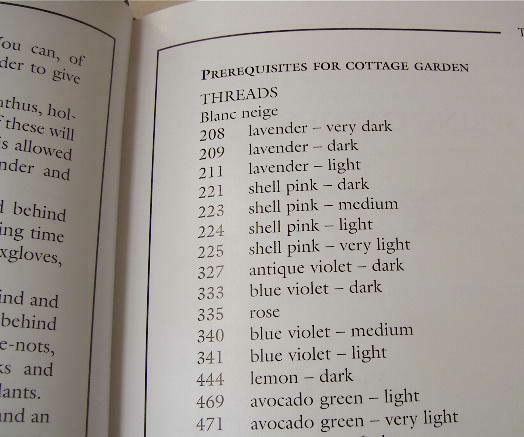 You will too, especially if you love gardens and flowers. On the cover you can see the gardens for the four seasons. These are the major projects featured inside. There are plenty of embroidery projects and ideas included in the book.And I love all the projects - the gardens,the embroidered initials,the garlands,embroidered cushions etc etc. 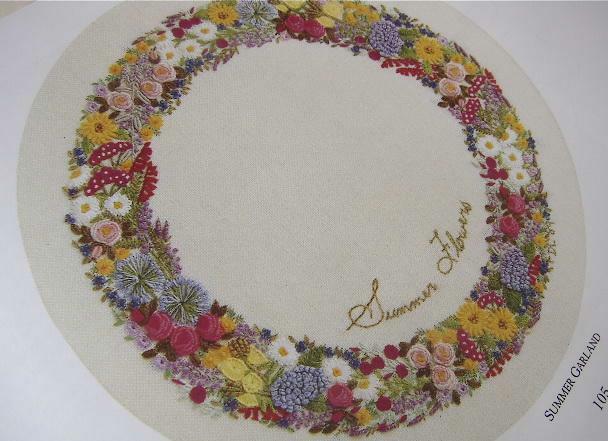 Does this remind you of my Embroidered Bedlinen? 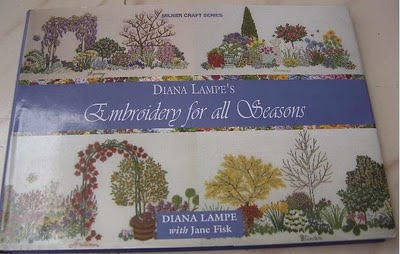 Diana Lampe too thinks like me,he,he.By the way, none of the flowers on the bedlinen are taken from this book. 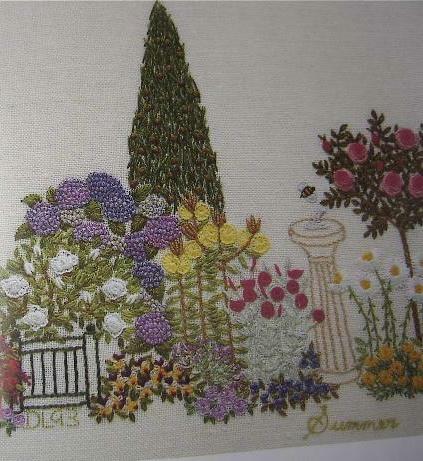 Here's a part of the Summer Garden. 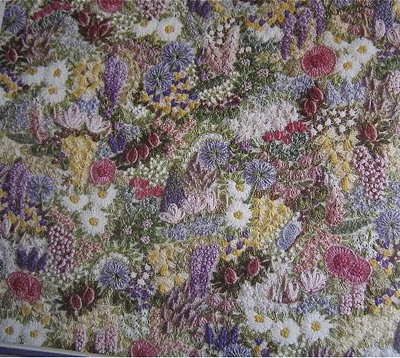 Lots of French knots!! 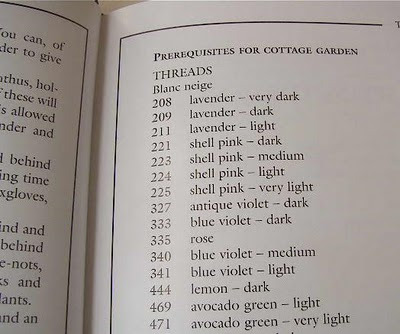 One will require loads of patience to complete a garden. Beginner's beware!! - Don't straightaway attempt the gardens. There's a flower glossary aka sampler provided with detailed instructions for each flower on a separate page.Try some of those first.All embroidery is done with stranded cotton floss. So its not an expensive affair. 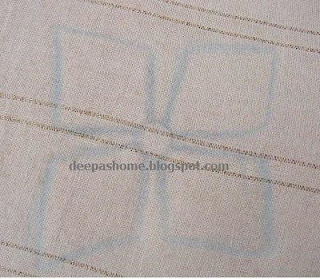 Each project has a separate chapter devoted to it with the thread colors specified.Basic instructions are also provided. There's also a very basic Stitch Glossary for right handed and left handed persons.But again, if you're planning to learn the stitches from here and then try the projects, no, the glossary may not be that helpful. This book is not a step by step teaching book. 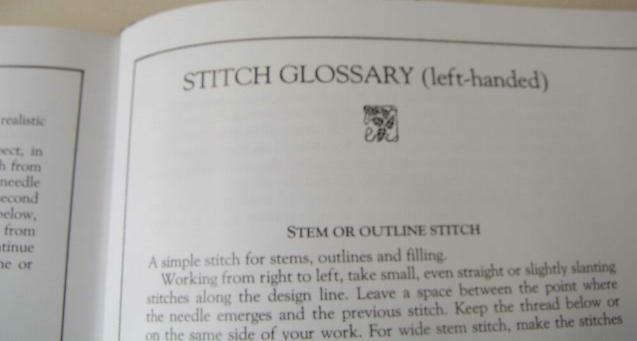 It is meant for intermediate to advanced level embroiderers.Please don't assume that Iam discouraging beginners ,I just mean to say that a beginner may need a stitch dictionary along with this book. 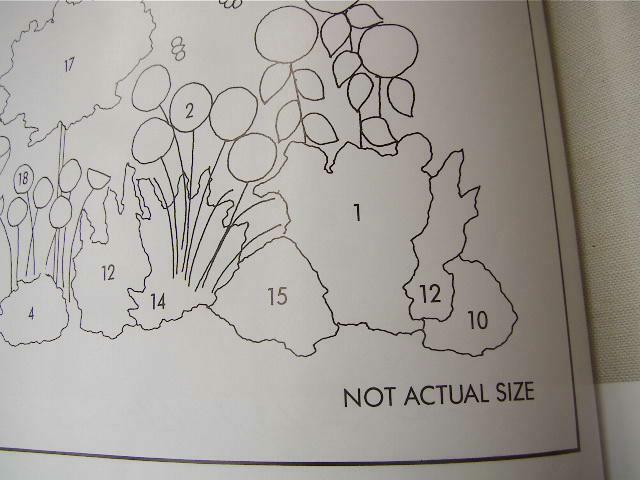 For each garden,only a rough outline of the pattern has been provided.They are not the actual size. 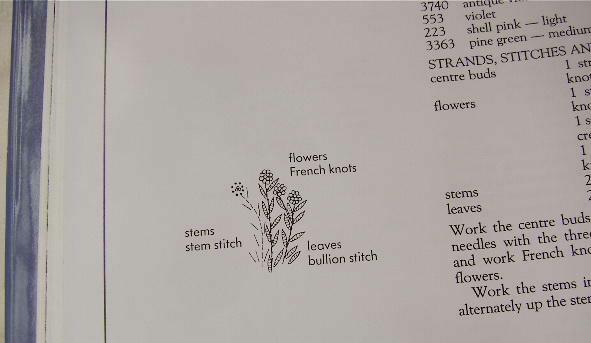 So its totally upto the stitcher to draw the bush or foliage and stitch.This will require some skill especially for those who trace patterns and strictly follow the lines and curves. Secondly, none of the project photographs are featured alongside the chapters.The chapters are in the beginning and all the pictures are grouped together in the center pages.There is considerable turning of pages involved to connect the written matter and the pictures. 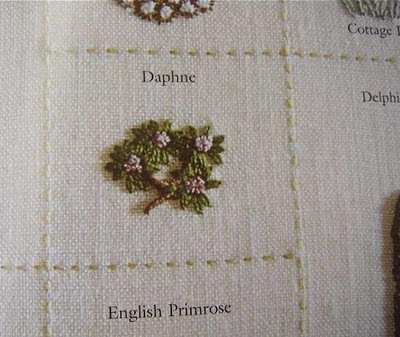 Hi Deepa... looks like a lovely book... I would have to agree with your thought, for something like florals, to have only a general outline is very hard, especially for "non-freehanders"... but I can't wait to see what you make from it... your work is always lovely... Hugs. good book, loved the pics too.. from where you got this?which store? I have read you..And I have bought this book after. I think that often, unable to copy, I choose my own colors, but here they are realistic, and realism is the thing that I miss. How nice that you got a message from the author! I couldn't make up my mind about buying this book (for a friend) based on the Amazon UK site reviews but you've tipped the balance in its favour. Glad I found you via a Google search for further reviews. Thanks!